Kennel & Obedience Club Inc.
from Puppy Kindergarten to the most advanced levels of competition. in which achievements 'Dover' takes a great deal of pleasure and pride. and hosts Obedience trials in May & October of each year. where classes are held on Wednesday evenings & Sunday mornings. The club appreciates the ongoing support of Marion City Council. 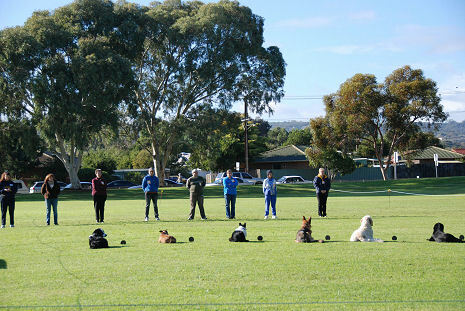 You might also like to visit Dog Obedience S.A.